This item has a print of the Bratz with the words Flaunt It Funky Fashion printed on the front as shown in the photo. Short puffy sleeves. 100% cotton. Size Girls 12. Buy now at low prices. will be different. I will send an invoice with correct amount. • ·Otter-Space Glitter Graphic Tee. • Soft and comfy graphic tee. • Fun glittering graphic. • Height 58” - 60”. • Out-of-this-world style. Loc: 703 AN3. Don't miss your opportunity on this item; if you decide to buy later it might be gone! Sequin embellished sleeves. Button up front. button cuffs. Super soft beautiful material! 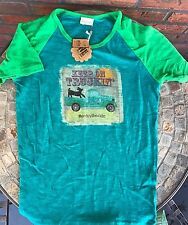 Girls Lularoe Tunic 'Gracie' Size 12 Teal with flowers 18" across Chest (armpit to armpit) and total length is 28" (measured in the back, the front is a little bit shorter) New with tags....excellent condition! I will ship next business day after receiving payment. Please email with any questions. Thanks for looking! Have a great day! Machine wash cold. Sensational studs for a superstar style. 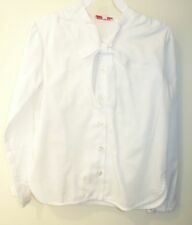 Zara Girls Casual Collection Red Striped button down cottonb lo us e, front pocket,d re ss u p or d ow n, si ze 1 1/ 12. New $ 380. FENDI T-shirt Top . Size 12 Year. 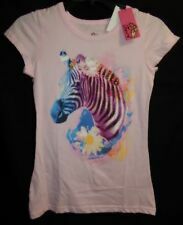 FENDI Girl's T-Shirt Top. Detachable Eye Patches Glued Circle Long Sleeve Crew Neck. Justice Nightshirt. Blue With Icons. “Friday Mood” On Front. Size Girls 12. NWT.